Please note that we are no longer accepting applications for the 2019 programme. If you are interested in attending the 2020 programme, please click on the 'notify me' button on the right of your screen and we will add you to our mailing list. A four-week residential summer school offering participants the opportunity to follow an intensive programme of university-level study in international human rights law within the beautiful surroundings of New College. An opportunity to experience life in an Oxford college. Optional extra-curricular events programme including lectures and a careers panel. War, Peace and Human Rights. Seminars will usually contain no more than 18 students. 16 seminars of 88 minutes. A summary of course content for each of the seminar options in 2019 is available on the Seminar options page. The programme aims to provide an intensive immersion in international human rights law and practice. Students will learn about key international and regional human rights laws and the enforcement of human rights by courts, quasi-judicial bodies, the UN and other inter-governmental organisations and non-governmental actors. The introductory morning session aims to provide a basic grounding in the field of international human rights law for students with no prior knowledge. The advanced morning seminars aim to build on students' existing knowledge. The afternoon electives aim to provide students with an opportunity to specialise in a key sub area of international human rights law or international humanitarian law. More broadly, the programme is intended to prepare participants to contribute to the improvement of human rights conditions in their homelands and around the world. This course is an intensive programme of postgraduate-level study and potential applicants should therefore be confident that they are academically and linguistically prepared for such a programme. If your first language is not English, you must supply evidence of your proficiency before a place can be offered. Further information about accepted English tests and minimum scores for this course are listed in the Application section. Assessment for all classes in this programme is by way of written examination and class participation but examinations are only compulsory for those seeking credit from the programme. Further information about credit can be found in the Certificates and credit section. Please note: all written examinations take place on the final Friday of the programme and cannot be re-arranged. All students who satisfactorily complete the programme will be awarded a Certificate of Attendance. To qualify for this, students are required to attend lectures and seminars to the satisfaction of the course tutors. It is not necessary to take the examinations in order to receive a Certificate of Attendance but those seeking credit from the programme will need to sit the examinations. The certificate will list your name, the dates of the programme and the two courses you have taken. The programme is accredited by the American Bar Association (ABA) for 5 semester credits but these can only be awarded to North American law students who have applied for the programme through George Washington University (see Application procedure). North American students must take the examinations to receive ABA accreditation. UK Solicitors may wish to take the course under the SRA's new 'continuing competence' approach (following major changes to the CPD requirements by the SRA, the course is no longer recognised as accredited CPD training). As Oxford University itself does not offer credit for this summer school, those students outside North America (who will not qualify for ABA accreditation) wishing to obtain credit from their home institution for attending the programme must make appropriate arrangements with that institution in advance. Participants can request information to provide to their home institution which details contact teaching hours (for lectures and seminars) and confirmation of the grades achieved in the examinations. Please note that confirmation of your exam results comes in the form of a results letter emailed directly to you when results are available in mid-September. A hard copy can also be sent directly to you and/or your University if this is required. Unfortunately we cannot provide formal transcripts for this course so you must check in advance that your home institution will accept a results letter. The level of credit, if any, must be determined by the home institution. The 2019 programme begins on Sunday 14 July. Programme orientation and library registration are held on Monday 15 July. Classes are held mornings and afternoons Tuesday 16 to Friday 19 July, Monday 22 to Thursday 25 July, Monday 29 July to Friday 2 August and Monday 5 to Wednesday 7 August. Friday 26 July is a reading day. Examinations will be held on Friday 9 August and the programme concludes at 09:00 on Saturday 10 August. Founded by William of Wykham in 1379, New College is one of the largest, best known and most beautiful of the Oxford colleges. 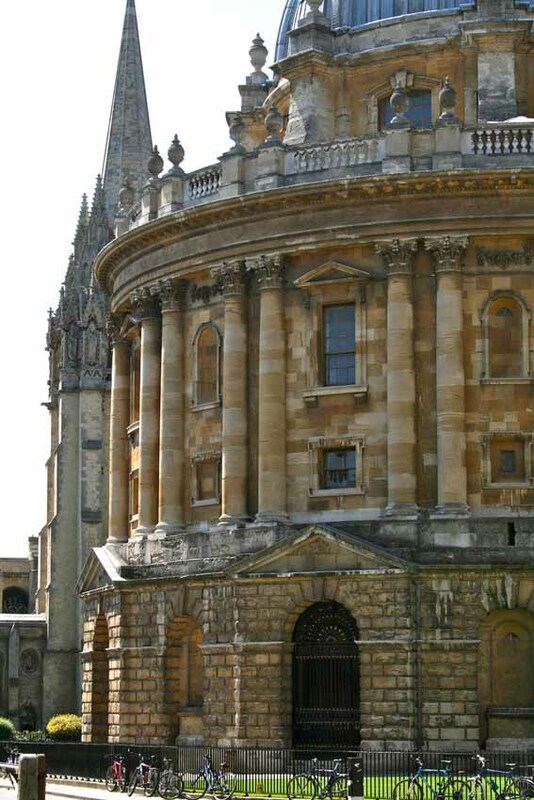 The college is located in a prime city centre location and is a short walk from both the teaching rooms and the Bodleian Law Library. Students are accommodated in single study bedrooms at New College. Many of the bedrooms have ensuite (private) bathrooms but such a room can only be guaranteed if the supplementary ensuite bathroom fee is paid. Students cannot be accommodated at New College either prior to or beyond the programme dates. Family members and/or friends who are not enrolled on this summer school cannot be accommodated in college. Breakfast, lunch and dinner are provided every day in the college's dining hall. With the exception of the opening/closing dinner and a formal dinner, all meals are self-service with a range of options available. Should applicants have any dietary requirements (e.g. gluten-free, vegetarian, vegan) they are required to complete the relevant section on the application form. We encourage all participants to take advantage of the accommodation provided at New College but, for those who already live nearby or for whom the accommodation would not be suitable, it is possible to attend the programme on a non-residential basis. Please contact the Oxford Course Administrator on humanrightslaw@conted.ox.ac.uk for further information. Students will be enrolled as readers at the University's main reference library, the Bodleian, which includes the Bodleian Law Library. The Law Library is located in the St Cross Building, a short distance from New College. Computing and printing facilities are provided at New College but we strongly recommend that students bring with them either a laptop or tablet. Internet access is provided in all bedrooms via Wifi or Ethernet. Most communal spaces in college also have Wifi. Participants are encouraged to apply to these institutions as early as possible. Please note that the fees information below is for those applying for the 2019 programme through Oxford University Department for Continuing Education (OUDCE) (i.e. all those from outside North America - see Application procedure below). Fees and payment information for North American applicants is listed in US dollars on the website of George Washington University Law School with whom the programme is jointly run. All applicants are required to pay a non-refundable application fee of £25.00. This will be deducted from the programme fee if you are offered and accept a place on the course. Fees include tuition; all compulsory reading materials; library fees; accommodation in New College for the nights of Sunday 14 July to Friday 9 August inclusive; meals in New College Hall, from dinner on Sunday 14 July to breakfast on Saturday 10 August. Travel is not included. Many of the bedrooms have private bathrooms but such a room can only be guaranteed if the private bathroom supplement is paid. The application fee should be paid via Oxford University Stores once admissions have opened (please note that it will not be available to purchase prior to this). If this direct link does not work, please go to Oxford University Stores, choose ‘Continuing Education' from the Product Catalogue, then 'International Programmes' and finally 'International Human Rights Law'. Select the product called ‘Application fee for International Human Rights Law Summer School 2019’, click on ‘add to basket' and follow the instructions. You should enter exactly the same personal details to pay your application fee as you have used on the application form so that payments and applications can be matched. Where information does not match, the processing of applications may be delayed. Successful applicants who accept their offer of a place on the summer school will be sent an invoice by email together with full instructions for payment. Fees may be paid online with a credit or debit card, or by bank transfer. Payment will be due by 1 May 2019. Late applicants (see Application procedure below) are normally required to pay the full fee within 7 days of their invoice date. If you pay online by credit card you will receive an automated receipt via email immediately after you have made the payment. If you pay by bank transfer we will send you a receipt via email as soon as the funds have been received into our account. If you are a non-EEA student you will receive a letter confirming your enrolment and course details which may be used to support your application for a short-term study visa. This letter will be sent by post. Please see Immigration and visas for further information. The status of this course will be reviewed on 1 May 2019. If it is likely that individual seminars or the course may be cancelled, all those affected will be notified by email within 7 days, and possible options clearly explained. If you have not heard from OUDCE by 8 May 2019, you should assume that the course and all seminars will be running (though we cannot guarantee you will be in your first choice of class); there is no need to contact us to confirm. The course is suitable for human rights professionals as well as those hoping to embark on a career in this field. We welcome applications from practicing lawyers and judges, members of the armed forces, government officials, lawyers and other persons working for non-governmental and inter-governmental organisations that work in the field of international human rights. We also welcome applications from students with any of the following: an undergraduate degree (including in subjects other than law); those with at least two years of study towards an undergraduate degree in law; those with at least one year of study towards a graduate degree in law. The class includes a wide array of human rights professionals, law students at the George Washington University and students studying various subjects at a variety of universities. In 2018, a total of 65 students attended the programme and came from countries including Australia, Canada, China, Colombia, Finland, France, Germany, Guatemala, Mexico, New Zealand, Pakistan, Peru, Poland, Sweden, Switzerland, United Kingdom and United States. Please note that admission to this programme is competitive and not everyone who meets the admission requirements can be offered a place. Where there are more applicants than places available, applicants with the most relevant experience and qualifications, as well as those who we feel will gain most from the programme, are given priority. If your first language is not English, you must supply evidence of your proficiency before a place can be offered. The University recognises only certain English tests. The accepted tests and minimum scores for this course are listed below. Your test must have been taken no more than two years before the start date of the course. The requirement to provide English proficiency scores may be waived, at the discretion of the Course Director, in cases where you have successfully completed, or are currently completing, a full-time degree-level course of a minimum of nine months at a recognised institution where the medium of instruction and assessment is entirely in English. Similarly, if you have used English as your main working language for a number of years the requirement may be waived. If you wish to apply for a waiver of the English language test requirement, you will need to upload a letter with your application outlining the reasons why you believe you should be exempted. The request will be considered by the Course Director at the same time as your application is assessed and, if successful, you will not be required to supply proficiency results as a condition of any offer made. North American applicants plus any student enrolled in a North American institution or professional working within North America, regardless of nationality, should apply through the George Washington University Law School with whom the programme is jointly run. All other applicants should submit an online application through Oxford University. A personal statement of up to 250 words outlining your reasons for wishing to attend the programme and what you believe your contribution will be. The closing date for applications is 12 noon UK time (midday) on 1 April 2019 but early application is advised as applications are reviewed on receipt and some courses fill very quickly. Applications which are incomplete at this deadline or where no application fee has been paid will not be considered. Late applications may be accepted if places are left or become available. You may email humanrightslaw@conted.ox.ac.uk to enquire about late applications unless this website states that the course is already full or is not accepting late applications. Once your application has been considered, we will email you to inform you of the outcome. This should be within two weeks provided your application was complete at submission and the application fee has been paid. If you are offered a place on the course, we will ask you to respond in writing within 14 days to accept or decline the offer. If you accept, we will send you an invoice for the fees by email (see 'Invoicing and payment of programme fee' above). Once you have paid your fees, you will be sent confirmation of your enrolment on the programme, together with a link to the 'Joining Notes' for the programme. These provide detailed information about the programme as well as how to prepare for the course and for your arrival in the UK (e.g. what to bring, travel, arrival and departure times, college facilities, dress code). Please read the notes very carefully and in particular the section on UK immigration. For any supplementary information please contact the Oxford Course Administrator. If you are not an EEA or Swiss national, you are likely to need a visa to attend the Summer School. Please read here for further information. If you have any disability or special need, please read here for further information. North American applicants plus any student enrolled in a North American institution or professional working within North America, regardless of nationality, should make enquiries/submit an application through the George Washington University Law School with whom the programme is jointly run. All other enquirers/applicants should come through Oxford University.